lying on your back in the newest snow. You move your arms like wings. go inside for a mug of hot chocolate. takes a feathery breath, tries out her wings. So begins a poem about making a snow angel, but it might also refer to the mysterious way that a poem comes into being and takes on a life of its own. 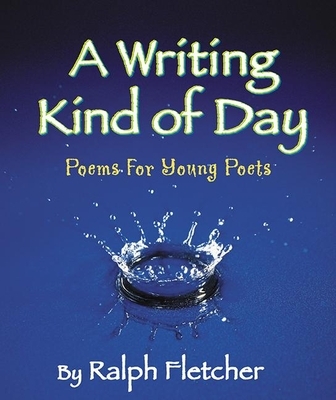 In this new collection, Ralph Fletcher shows us how you can write a poem about almost anything: a baby sister, a Venus's-flytrap, a failing grandmother, a squished squirrel, grammar homework, and more. These poems take us inside the creative process as they reveal both the playfulness and the power of poetry. More than anything, they invite us to pick up pen and paper and write some poems of your own. Ralph Fletcher grew up as the oldest of nine children and has always been surrounded by stories. He has published novels, poetry collections, picture books, nonfiction books, and teacher resources. He has four sons and lives in Lee, New Hampshire.